Many active duty service members and veterans know that there is a VA program available to help finance their home loan with a zero-down payment. However, VA loan eligibility can be confusing and even intimidating to some. Multiple factors will determine if you will qualify for a VA home loan and we hope to remove the confusion of what is required for you to qualify for your zero-down home mortgage. We will discuss VA eligibility in regard to your credit score, VA loan limits and what VA loan types are available to you in this article. What Credit Score Do I Need To Qualify For A VA Home Loan? What Are The Maximum VA Loan Limits? What VA Loan Types Are Available? The Department of Veterans Administration officially has no minimum credit score to be eligible for a VA home loan. However, private lenders are the ones who will approve you for a VA loan and their underwriting departments generally will not give you a loan unless you have a credit score of 620 or higher. A good broker like the Wendy Thompson lending team won't look at you solely as a number and sometimes can help raise that credit score quickly with a few tweaks. Your credit score will mostly affect the APR rate that you will qualify for your VA loan. The higher your credit score the better APR rate you will receive. The lower your APR rate is, the lower your monthly payments will be. The lower your monthly payments will result in you being eligible for a higher VA loan amount. So while a 620 credit score should get you in the door, if you discuss your score with the Wendy Thompson lending team, they will advise you on how to increase it and get a better APR rate! If you do have a subprime credit score below 620, there are many resources that are out there to help you to get your score back on track. Don't hesitate to ask the Wendy Thompson lending team for assistance. The title may be a bit misleading. The VA does not set a maximum loan limit that you can borrow. However, the VA does set a maximum loan amount that they will guaranty to the lenders. This means that if you exceed that fixed maximum loan amount then you may have to put money down to induce the lender to give you the loan. Most lenders expect you to put down 25% of the difference between the VA loan limit and the actual amount you end up borrowing beyond what the VA is willing to guarantee. The VA loan limits vary across the US based on how expensive the housing costs from county to county. Presently in 2019, the VA loan limit for the majority of the US is $484,350. 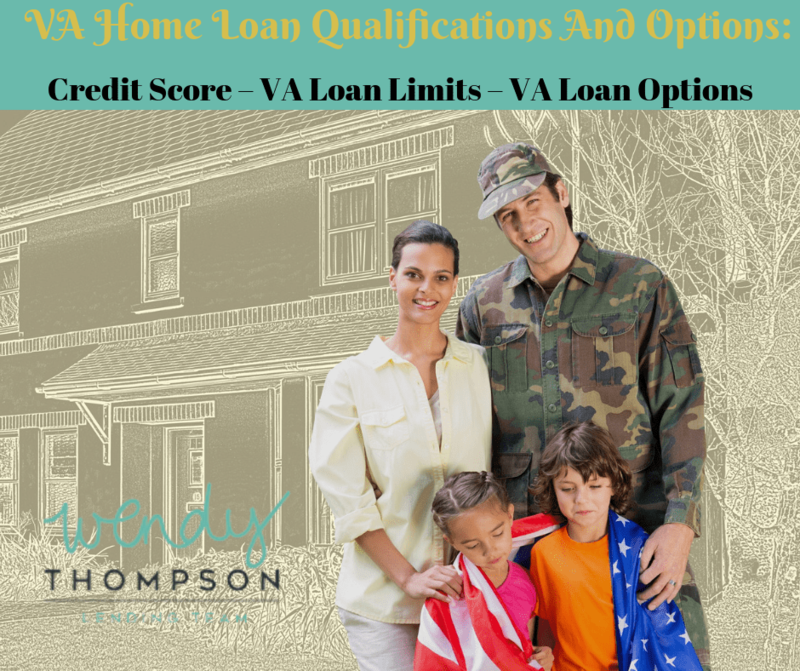 Keep in mind that you will need to check with the Wendy Thompson lending team to find out the maximum VA loan limits in your area. Some counties have VA limits as high as $726,525 in 2019. That is a huge disparity between the low limit and the high limit in the US. By far the most common VA home loan program is the purchase loan option. This is where a veteran or active service member uses a VA loan to purchase a new home. The program was designed to help military families get into a new home without having to make a down payment. If you are veteran and either you or your spouse is a Native American, you may qualify for a Native American Direct Loan (NADL). The program is in place to help you buy, build, refinance, or make improvements to your home so long as it is on Federal Trust Land. If you qualify for a VA interest rate reduction refinance loan (IRRRL) you can refinance your existing VA loan and replace it. The main reason you would do this is if you have an existing VA loan has a higher interest rate than the present interest rates being offered. By reducing your interest rate using the IRRRL, it should lower your monthly payments and the amount of interest you will pay on your home over the life of the loan. Refinancing allows you to replace your existing loan with a new VA Cash-out refinance loan. There are many reasons you may want to take equity out of your home. You may want to refinance a non-VA back loan with a VA back loan while getting a lower interest rate and possibly lowering your payments. 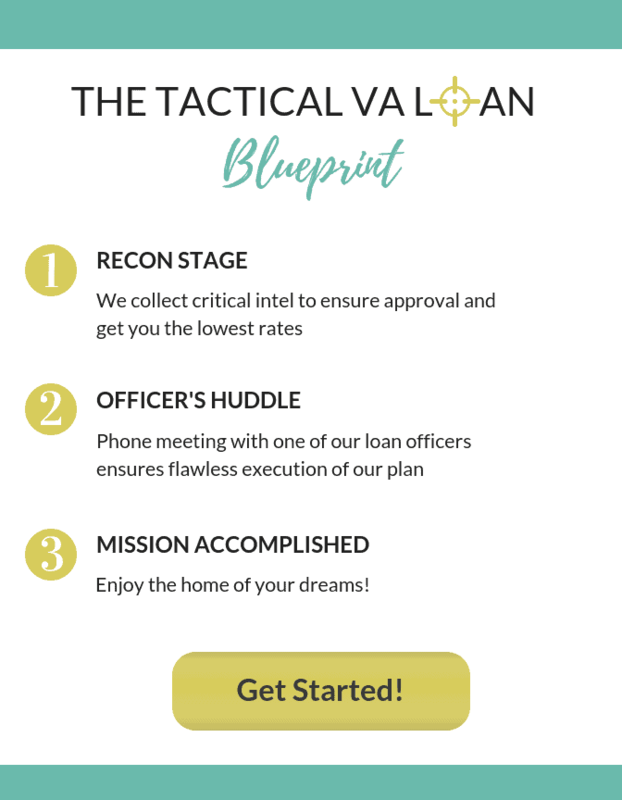 approval is easy with our "tactical va loan blueprint"
If you’re a current or retired military member looking to buy a home and choose to take advantage of the VA Loan program, you may be wondering the best mortgage company to go with. Be very careful here as any mortgage company can offer a VA loan, but few of them specialize in VA loans, and there are a lot of ways lenders can screw up your dream of owning a home. 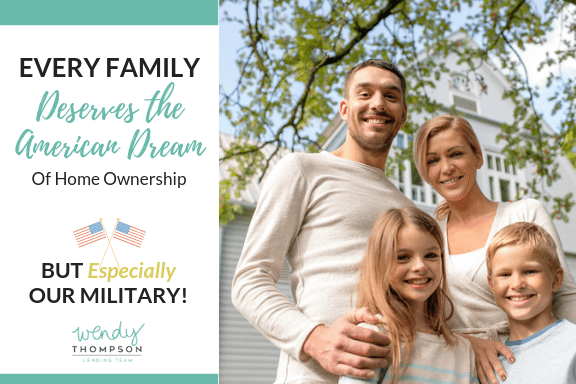 The Wendy Thompson Lending Team is one of the top ranked VA Loan and Mortgage specialist working with active military and veterans in all of the 50 States. Deciding on the right VA lender is the most important decision you will make. Choosing the wrong lender can result in you losing your dream home or costing you hundreds of thousands of dollars in more interest over the life of your mortgage. Don’t make that mistake, contact the Wendy Thompson Lending Team today! You can start the process by clicking the yellow 'See if I'm Eligible' button on the right side bar under the 'Start your quote for VA Home Loan' or call Wendy’s Team directly at (901) 250-2294, to get started on living the American Dream in the home of your Dreams! Buying a Memphis home this spring? The time to start is NOW! Get the latest news and updates to home loans, mortgage rates and more. The Wendy Thompson Team, Powered by HomeVantage Mortgage is a Division of Austin Capital Bank SSB #810021. NOTICE - This is not a commitment to lend or extend credit. Restrictions may apply. Information and/or data is subject to change without notice. All loans are subject to credit approval. Not all loans or products are available in all states.